New leadership in this year’s winning states for attracting new facilities are looking ahead, not behind, at how to keep their states at the top of their game. Texas and Kentucky have again won the Governors Cups for attracting new facilities the previous year — Texas for total qualifying projects and Kentucky for total projects per capita (a widely applauded recognition added to this facilities race in 2014). As Yogi Berra would say, it’s like déjà vu all over again. Except this time the new governor involved, Matt Bevin, is on the Kentucky side. Last March, Texas Gov. 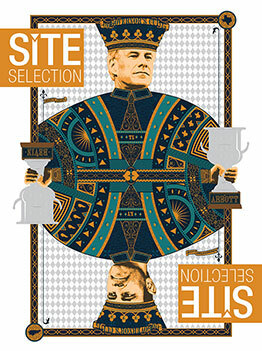 Greg Abbott made his first appearance in the pages of Site Selection when he accepted the Governor’s Cup for total project activity in 2014, having just taken office a few weeks previously. Gov. Bevin of Kentucky has that experience this year as the Commonwealth claims the other Governor’s Cup — he just took office in December 2015. Both governors in this situation transferred credit for their wins immediately to those economic development professionals on the state and local levels who did the hard work of attracting new businesses and retaining and growing existing ones during the calendar years for which they were recognized. Six governors, illustrated above, made the Top 5 states in either the Total Projects or Total Per Capita Projects Governors Cup contests — see the chart for the Top 10 States in each category. Gov. Matt Bevin of Kentucky, lower right, won first place in the Per Capita Projects contest and came in fifth in total projects. The Governors Cups reflect yearly project totals as tracked by the Conway Projects Database. Qualifying projects must meet one or more of these criteria for inclusion in the database: a minimum capital investment of $1 million, 20 or more new jobs created, and 20,000 or more square feet of new space. Both Texas and Kentucky increased their winning totals in 2015. Texas finished the year with 702 projects, up from 689 last year; Kentucky had 285, up from 258. Ohio claimed second place in both total projects and total projects per capita in last year’s facilities race — ditto the previous year — and it retains that recognition on the total projects side with 517 projects (down from 582 in 2015). Nebraska ranks second on the per capita side with 118 projects. Step back from the numbers and the bigger picture comes into view: Two new governors inherit state business climates that while not perfect are strong enough to deliver trophies for attracting facilities. More to the point, the economic developers on the front lines secured the capital investment that resulted in the Cups. But some new generals are now in charge, and they intend for their states to keep winning. Greg Abbott has one year as Governor of Texas behind him. Now it’s on to the next. “We are going to go to work every single day to continue to win this — that is our goal and our aspiration,” he tells Site Selection. This year, business attraction is taking place in Texas against the backdrop of lower oil and gas prices, which directly affects energy, one of the Lone Star State’s key industry sectors — but just one. “One of the reasons so many businesses and individuals choose to relocate to Texas is because we have the model of governing that promotes individual prosperity and the ability for businesses to grow and expand. We are able to do that, and improve on that, despite the downturn in oil prices,” says Abbott. The downturn began during the last legislative session in Austin, he recalls. “We knew what was going to happen, and we prepared for it. We put aside $10 billion in a rainy day fund and left another $4 billion in our checking account, leaving Texas with the strongest balance sheet of any state in the nation.” Another step taken, says Abbott, that will allow Texas to attract more investment and to grow existing industry, was cutting taxes on businesses, families and homeowners. "As great as Texas is now, its future is even more promising. We will continue to make the case that Texas is the right location for businesses and their employees." Technology companies in particular have made a bee line from California to Texas, particularly the Austin area (think Apple and Oracle among others), citing lower living and tax costs. Austin is a high-tech hub, but Abbott points out that there are more technology workers in the Dallas-Fort Worth and Houston metro areas than in Austin, and San Antonio’s not far behind. During this same time, says Abbott, Texas made two important investments that he says will make its business climate the strongest in the nation for the next decade. Texas in recent months has added four more universities to Carnegie Foundation Tier One status, “giving employers access to the best and brightest students graduating from some of the premier universities in the United States, and opportunities to collaborate with the best and brightest researchers in the country,” Abbott relates. Three were already on the list — UT at Austin, Texas A&M and Rice University. The newcomers are UT at Dallas, UT at Arlington, the University of North Texas and Texas Tech. If Kentucky’s new governor, Matt Bevin, accomplishes even a fraction of what he intends to in the next few years, the Bluegrass State will remain a daunting defender of the Governor’s Cup awarded on per capita projects. It’s even a strong contender in the total projects Cup race, finishing in fifth place in that contest with 285 projects in 2015. "Right-to-work legislation has come to every single state in the South except for us, to every state in the manufacturing belt in America, and we are the buckle of that belt." Governor Bevin has a few areas in which he plans to demonstrate that. “People want to see us get our financial house in order, first of all,” he says. “No one wants to be in, expand in or relocate to a state that is becoming fiscally insolvent. We have struggled with unfunded pension liabilities and a variety of other things — with getting our financial foundation straight. So my number one focus, driven by what I know as a business person and as someone who knows the investment world a bit, and by what my peers and taxpayers are saying, is to get the financial house in order, to stop the financial bleeding. This must be done. “Second,” the governor continues, “and in a similar vein, is to get our credit rating straightened out, which is largely driven by the first part. The credit rating agencies are indicating that if we don’t start to take that seriously, they would have no alternative [but to downgrade]. Well, there’s no cold water to a business looking to expand or relocate than that. I get that from a business point of view. If that is sounding like the language of businesses that intend to succeed, wait. There’s more. “People desperately want to see some tort reform. Kentucky is known to be a state that is litigiously friendly — to the detriment of business and to the detriment of our economy,” says Bevin. “People want us to get our healthcare situation in place. They want a healthy populace, healthy employees.” School choice is another area where Kentucky can better compete nationally, because the issue is important to facility locators working on site strategies that may involve personnel relocations, he relates. Outcomes-based funding and using public education dollars to ensure students are ready for the post-secondary world are very much on the governor’s agenda. Look for greater use of certification programs and degree program redesigns that better align with industry requirements. “I just put out a budget that calls for spending $100 million over the next two years on workforce development. The plan is for people in the private sector and the education community, together with their locally elected officials, will work together and come forward with a solution where they, in collaboration with each other, with their own skin in the game financial and otherwise, will come up with solutions and the state will help prime that pump. That’s where I want to spend that money. On February 22nd, Gov. Greg Abbott met with Mexico President Enrique Peña Nieto in Houston to follow up on issues the two leaders first discussed in Mexico City in September. California businesses with trade operations in Texas tell Gov. Abbott they are there because of the efficiency of the Texas locations. “Trade along the border is going to continue to increase and be a source of prosperity for the state,” he predicts.